Love the silhouettes and composition Jackie. I take it it isn’t really an actual black swan but just the silhouette effect making it that way? Absolutely beautiful photo anyway – calm and serene. Worth framing that one! Thanks Carol. 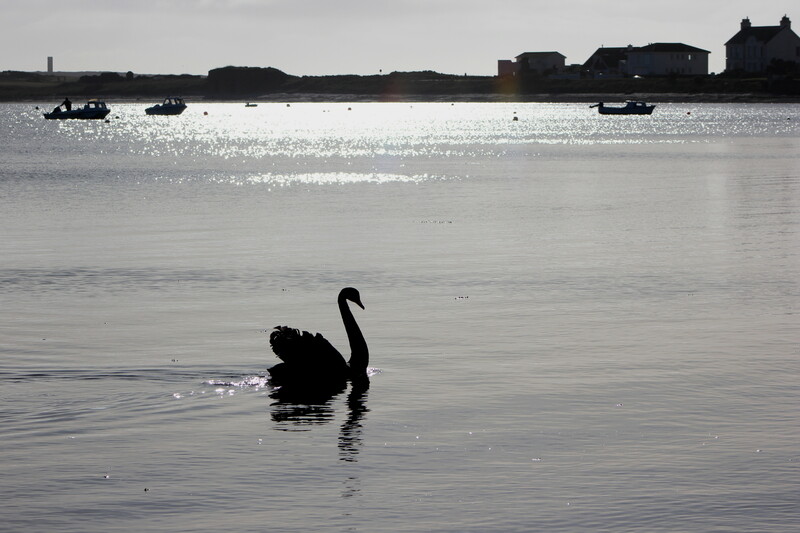 It was an actual black swan just swanning along the shoreline. I like the photo as it was such a calm, lovely moment but technically, must do better next time! How lovely – I love black swans – so mysterious. I’m not sure how you could do better on that photo!